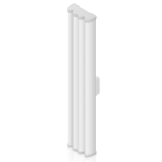 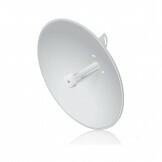 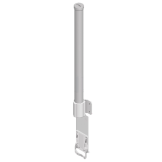 Overview​ Omnidirectional Coverage airMAX Omni is a Carrier Class 2x2 Dual Polarity MIMO Omnid..
Overview​ Sector Coverage The airMAX Sector Antenna is a Carrier Class 2x2 Dual Polarity MIMO ..
airMAX® ac 2x2 BaseStation Sector Antenna The airMAX® ac Sector Antennas feature signif..
Overview Sector Coverage The airMAX Sector Antenna is a Carrier Class 2x2 Dual Polarity MIMO S..
​PoE Adapter Ubiquiti Networks offers Power over Ethernet (PoE) Adapters to power a variety o..
Overview Ubiquiti Networks launches the latest generation of airMAX® CPE (Customer Premises Equip.. 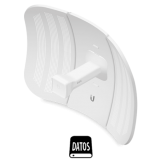 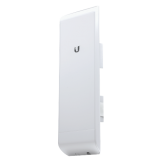 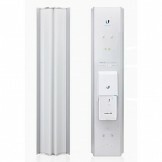 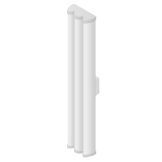 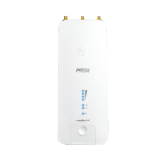 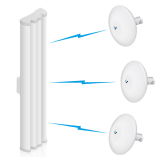 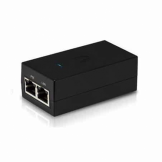 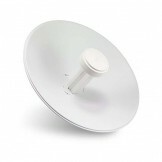 The LiteBeam™ is the latest evolution of a lightweight and compact, outdoor wireless broadband p..
Overview Leading-Edge Industrial Design Ubiquiti Networks sets the bar for the world's rs..
Overview Starting with the rst-generation NanoBridge®, Ubiquiti Networks pioneered the all-in-one.. 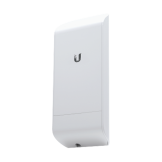 Compact Plug and Play Device Management The compact CRM Point™ securely runs the U CRM Control™ s.. 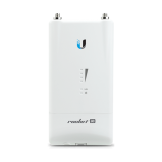 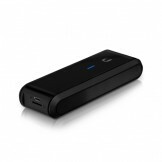 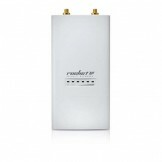 Featuring enhanced radio performance and mix-and-match industrial design, the Rocket™M is ideal for .. 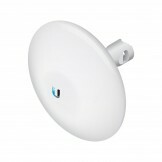 Available in three models, the Rocket® ac features airMAX®ac technology for maximum performance in w..
Overview Ubiquiti Networks has designed airMAX ac radios with high performance and ease of instal..
DISTANCIA MÍNIMA Y MÁXIMA EN REDES MULTIPUNTO ..
DISTANCIA MÍNIMA Y MÁXIMA EN REDES MULTIPUNTO ​ *Las especificaciones técnicas, caracterís..